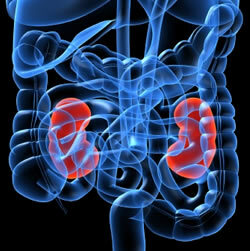 The Kidneys are one of the organs of our body that perform many different tasks, metabolical and metaphysical ones. Each individual interacts with their reality and universe in accordance with their own repertoire of experiences. Their capabilities are designed in accord with a collection of genetic “data”; some are defined as dense genes, or backbone (genetic) DNA; others are classified as subtle DNA. Both types are passive to be conditions of limiting our process of expansion of consciousness and personal development. The subtle DNA is explained as a mirror of the genetic DNA, but it does retain and store a wide bank of informational records that many times can precede the time of birth of the individual into physical existence; meaning that they were carried over many reincarnational instances. The etheric body, commonly known as the double, is one of the subtle bodies, and it is strongly associated with this “storage file” of data about emotions, expectations, cellular memories, experiences, fear, and pain. It is in the double that we encounter an element interconnecting the other subtle bodies, and its manifestations can be witnessed by people that have some training in vibratory energy therapy. 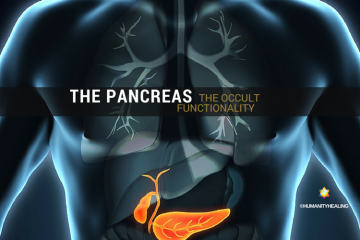 In general, the organs are interdependent body parts, but they may be susceptible to the waves of change that come both from the outside world and internal world, and they can be easily influenced by the Macrocosm and by the Microcosm. Any interference in their rhythmic functionalities can unleash a chain reaction, which generates repercussions, not only among the organs themselves but also over all the other subtle bodies. 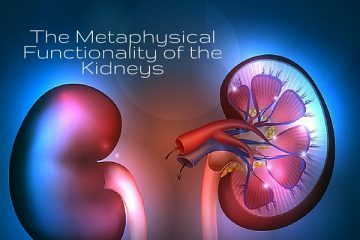 The main metaphysical function of the kidneys is to be the regulator of the metabolism of the water inside of the body; the element of water, as its turn, is associated with the body of emotional experiences and sensations perceived and stored in the records of our cellular memories. Normally, we say that the real cause of illnesses is the obstruction of the channels and blockages in the circulation of energy inside our physical organs. 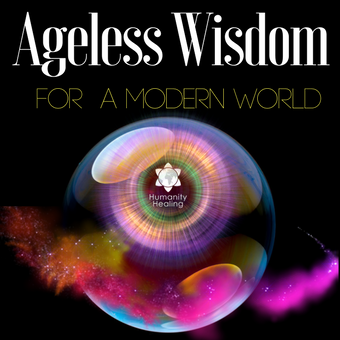 These blockages can vary greatly according to their source; they could be environmental, they can be psychological, or they could have been originated from mental impasses and obstacles, either conscious or unconscious ones. Some of these malfunctions can even be originated from the influence of other people and even from non-embodied entities. According to the precepts of the Traditional Chinese Medicine, the vital energy of the body resides in the blood, and the health and longevity of the same body are guaranteed by the perfected circulation of this vital energy. 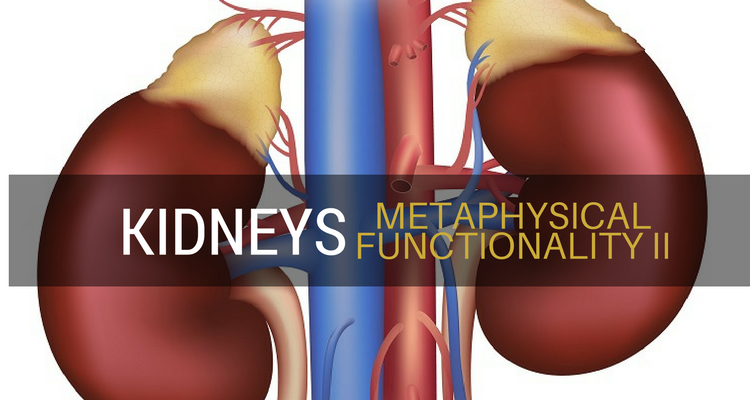 All fluids of the body fall under the chakras of the Heart and the Kidneys and by extension, the kidneys are responsible for production and maintenance of the blood, blood cells, and the medulla. In this facet, it is connected to the brain. In Western medicine, the medulla is related to the growth and birth of new blood cells. In Chinese medicine, the Medulla is originated from the essence of Ki, which is the source of formation of brain cells. 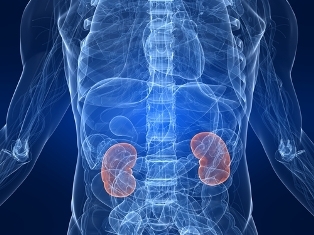 Another good example of interdependence among the organs is the relation between the kidneys and bladder; the last depends on the kidneys to eliminate the urine. If the vital energy in the kidneys is abundant, the bladder works impressively. On the other hand, if there is some unbalance in the kidneys, the bladder can lose control and efficiency, i.e., incontinence. Each organ inside of the human body has at the same time specific and shared functions with other organs. In the dynamic universe of normal function of the body should be perceived with ease. Anything that goes against this pattern is identified as dis-ease. Therefore the process of getting sick cannot even be seen solely as a single and isolated manifestation of one factor or malfunction of just one organ.